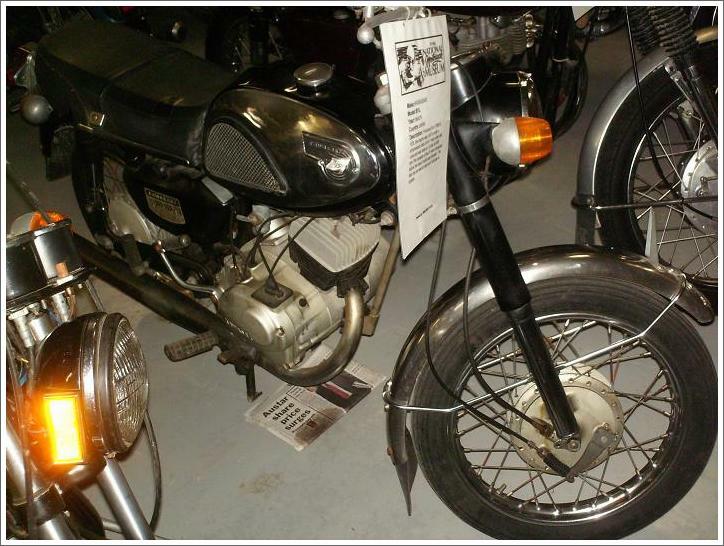 Produced from 1965 to 1976, the engine was 124.7cc with a compression ratio of 6.4:1, a disk inlet valve, and was rated at 12 bhp at 6500 rpm. This variant of the B1 was introduced before the basic model was released. This bike has an electric start and Autolube oil system.